Are there species that do not age? Some species apparently lack any internal limitation on their lifespans. 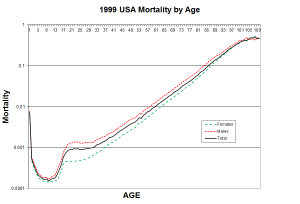 What implications does this have for aging theories and dependent medical research on aging and age-related diseases? We can use the term internal immortality to refer to the absence of any internal limitation on how long members of a species can live. Of course such a species would still be subject to death from external causes such as predators, intra-species warfare, starvation, lack of suitable habitat, and infectious diseases. A number of animal and plant species live extremely long lives and might be internally immortal. It is infeasible to prove that any such species is or is not internally immortal. For example, we could keep a statistically large number of individuals under zoo conditions for 300 years and see if any survived. Such an experiment would probably require multiple zoos in multiple locations to prevent the entire zoo population from being wiped out by fire, earthquake, or epidemic, would take 300 years to perform, and would only show that a lifespan of 300 years was possible. Some species have internal indicators of age like tree rings or similar markings on fish scales or internal bones so we can determine the age of a captured wild individual by dissection. Because wild species are subject to myriad external threats a very large number of such examinations would be necessary to demonstrate an even very long lifespan much less demonstrate the presence or absence of internal immortality. Another approach to the species senescence issue that avoids the lifespan measurement problem is to measure symptoms of aging. Humans and most other organisms have very obvious multiple senescence symptoms. A negligibly senescent species is one in which no measurable evidence of senescence such as decreased strength, speed, sensory acuity, reproductive ability, or increased incidence of diseases has been observed. Some have claimed that the mouse-sized naked mole rat (interesting because it is a mammal) is negligibly senescent even though maximum lifespans of about 30 years have so far been observed. Lab mice live about 2.5 years and some mice live less than one year. 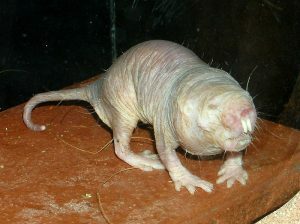 Naked mole rats have a reproductive scheme similar to colony insects. In any underground colony only one “queen” female reproduces. This behavior and other strange characteristics likely affect their need for lifespan. A reader might conclude that trees, fish, and maybe even rats have no significance regarding human aging. 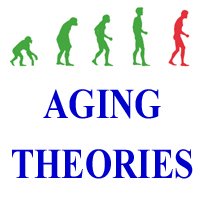 However, as explained earlier, modern aging theories attempt to explain why different species have different lifespans and how aging relates to the evolution process and to other characteristics of a particular species. 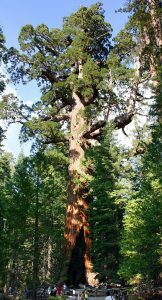 An individual tree that has lived for more than 3000 years proves that there is not some fundamental limitation on how long an individual living organism can live (at least up to 3000 years). Trees actually share many life processes (such as sexual reproduction) with more complex species such as mammals so this is significant. Modern non-programmed (non-adaptive) theories assume that each species only has an evolutionary need to live for a certain minimum lifespan but that there is no evolutionary disadvantage from living longer. For example, even if internally immortal, very few wild mice would live as much as three years because of external factors such as predators, starvation and harsh environmental conditions. Therefore having the internal ability to live longer would have very little value for a population of wild mice. This is the logic used by Medawar in 1952 to suggest that each species only needed to evolve the ability to live for a certain species-specific period. Because there is no disadvantage from living longer there is no evolutionary motivation to evolve a suicide mechanism that purposely limits lifespan. These theories assume that various natural deteriorative processes would limit lifespan beyond the species-specific age at which there was an evolutionary need to live, thus leading to the huge variety of observed lifespans. There is no scientific disagreement that natural deteriorative processes such as oxidation, random mutations, and mechanical wear and tear exist. However, non-programmed theories make a subtle but important and undefended assumption: They assume that each increment of lifespan requires a different organism design because living X +1 years is somehow more difficult or otherwise a different task than living X years for any value of X. They further assume that if an organism inherited a longer lifespan than it needed, the natural deteriorative processes would degrade its design to fit its current external world thus resulting in the huge variety of lifespans observed. These assumptions “assume facts not in evidence.” It is not obvious why replacing dead skin cells or hairs would be any more difficult or require a different organism design in an 80-year-old than in an 8-year-old. Similarly why would preventing or repairing the causes of cancer or other age-related condition be more difficult with age? In addition to this assumption, modern non-programmed theories assume that each species has an evolutionary need to live for a lifespan that is determined by internal design parameters (such as age of puberty) and external conditions (such as predation). Therefore they have the (so far mainly unaddressed) problem of explaining why some apparently non-aging or negligibly senescent species needed to live so long, even possibly indefinitely! Non-programmed proponents typically suggest that apparently non-aging species must actually age. Readers will recognize this as an example of circular logic: It must be true because our theory says it must be true! Modern programmed (adaptive) aging theories assume that each species has a particular optimum lifespan, similarly determined by internal and external conditions, that living too long creates an evolutionary disadvantage for a population, and that therefore organisms evolved aging mechanisms designed to produce senescence symptoms on a species-specific schedule. Biological programs that stage various life-cycle events are common (e.g. growth, puberty, mating seasons). Programmed aging theories suggest  that negligibly senescent species have lost the ability to age and are therefore more likely to become extinct. This could have been caused by mutations that disabled their aging program.